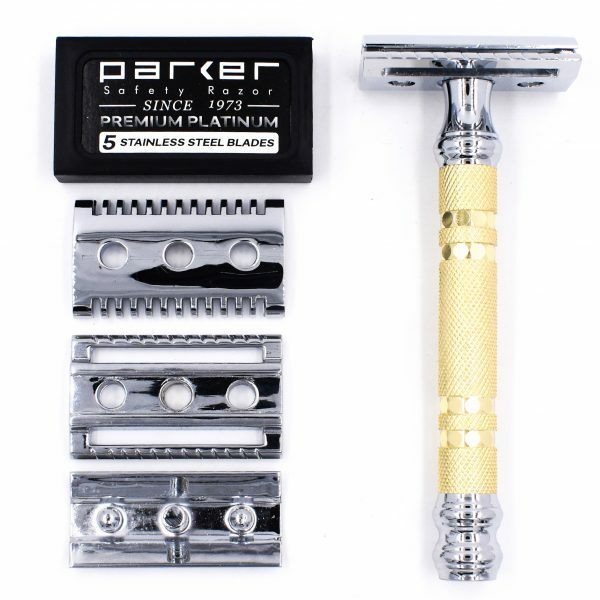 Parker’s 69CR Convertible Safety Razor comes with both our open comb and closed comb base plates. It’s like getting two different razors for the price of one! Parker’s Convertible Safety Razor comes with both our open comb and closed comb base plates. 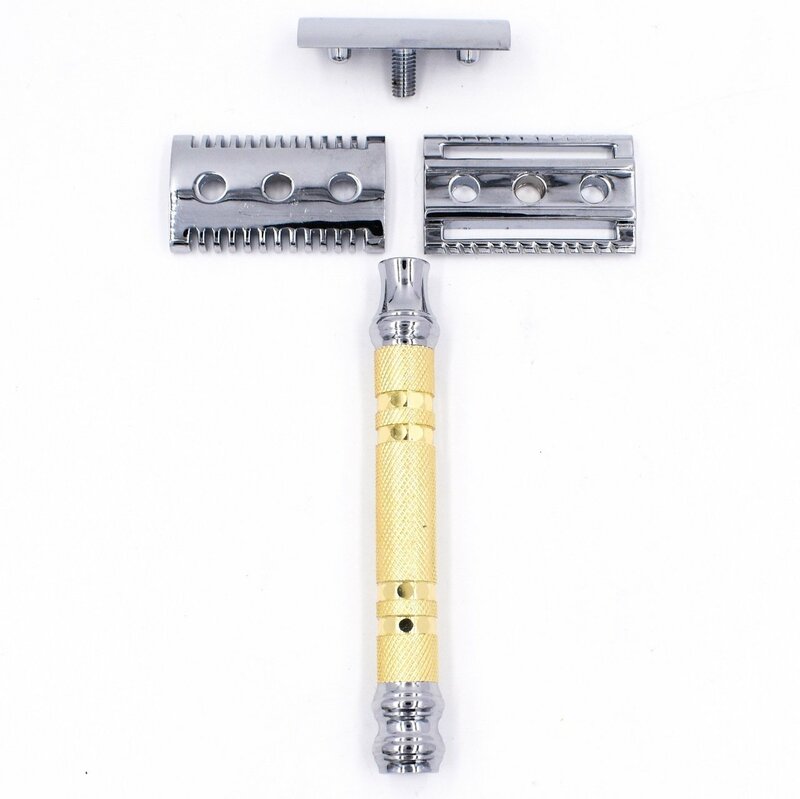 The open comb gives a milder shave and the closed comb has greater blade exposure for a more aggressive shave. It’s like getting two different razors for the price of one! 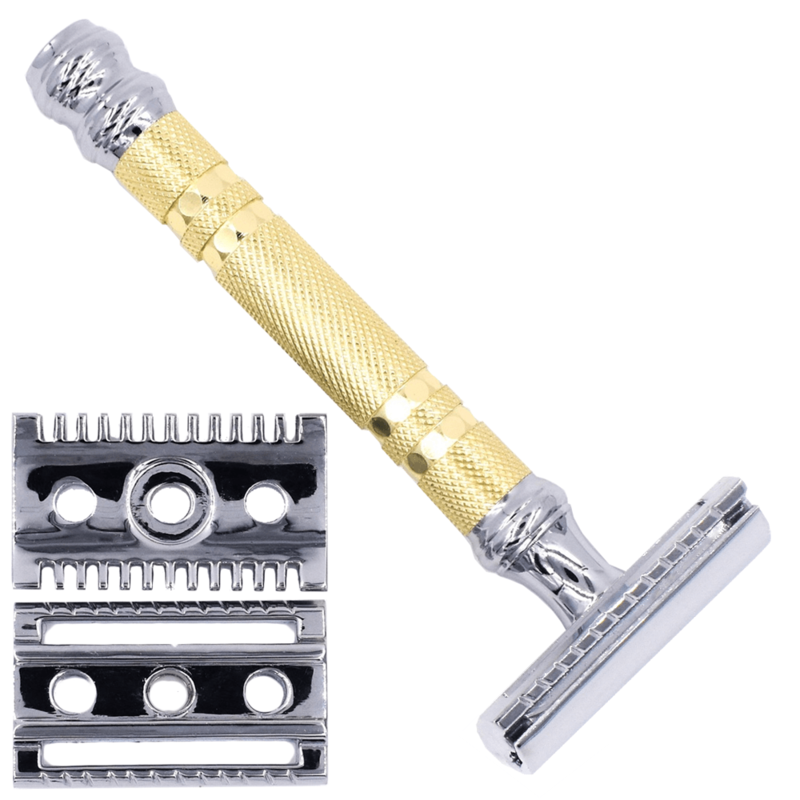 The handsome heavyweight handle is made from brass with an electroplated brass finish and chrome accents. 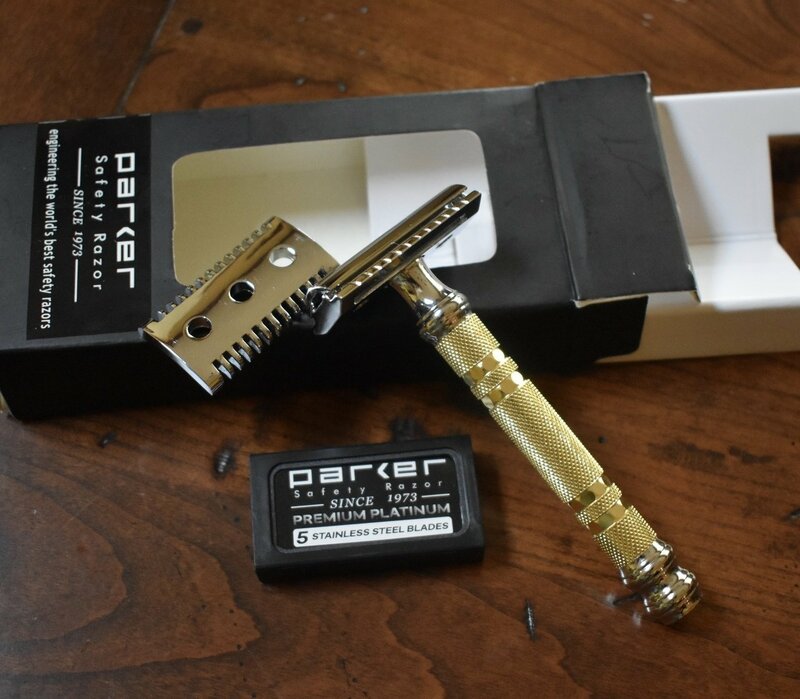 Closed Comb Base Plate: Parker’s famous 3-piece razor head delivers an excellent shave – both close and comfortable, ensuring a precise blade alignment. The closed comb head is the same as the one on all of our Parker three piece models – each part disassembles after screwing off the head from the handle to change the blade or the closed/open comb plates. Open Comb Base Plate: Since being launched in 2013, Parker Safety Razor’s “Open Comb” has been the buzz of the shaving community. 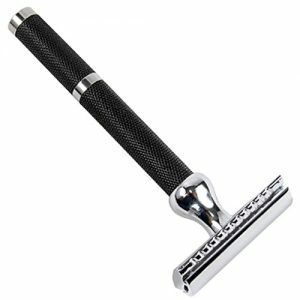 It is engineered to provide an extremely smooth shave without being overly aggressive. 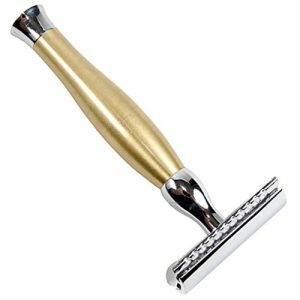 The open comb design stretches the skin, delivering a very close shave. 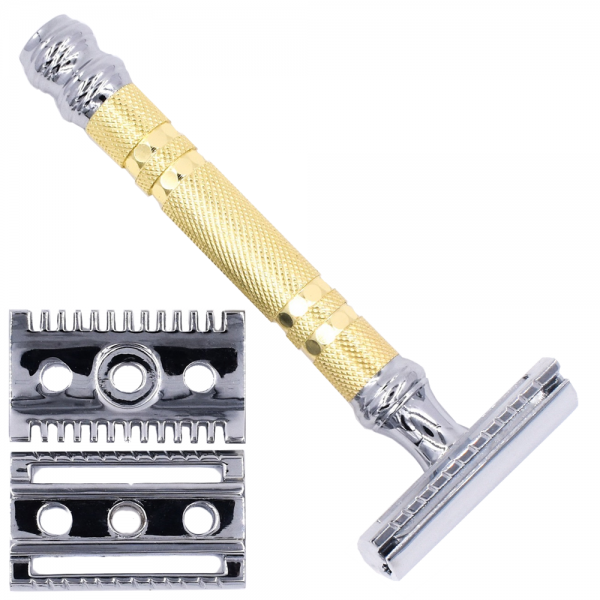 Included in box: 69CR Razor with closed comb head assembled and open comb head plate wrapped individually at the bottom of the box. Simply hold the head of the razor and unscrew the entire head from the handle. Separate the top cap from the base. Insert blade onto the top cap and select your base plate. Insert the base plate over the screw of the cap, making sure that the larger indented middle circle is on the handle side. 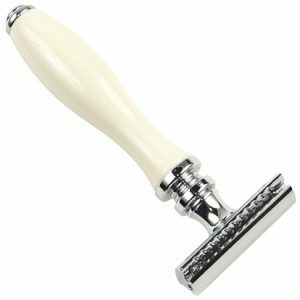 Screw head back on the handle and enjoy a great shave.